Westboro Baptist Church of Topeka, Kansas, has really crossed the line this time, viciously attacking one of our national treasures. WHAT HAS HAPPENED TO AMERICA???????? 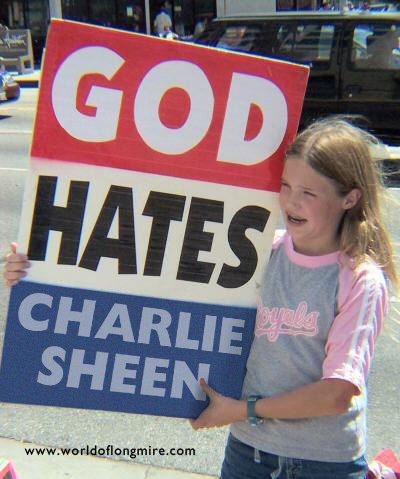 Misguided child holding "God Hates Charlie Sheen" placard.